One of Singapore's most intrepid photographers returns to our homeland... and has something new to show you. Sit down with us for a couple of hours, relax and experience stories from around the world through his perpetually stunning photos. Feel places and people come alive in colours, light and textures with the voice of a true adventurer - the very spirit of LIGHT & LIFE. This talk by Stefen Chow is held in conjunction with the LIGHT & LIFE Photography Competition jointly organised by National Geographic Live and NTU, together with official camera partner Nikon Singapore. Stefen Chow is a landscape and portrait photographer based in Beijing. 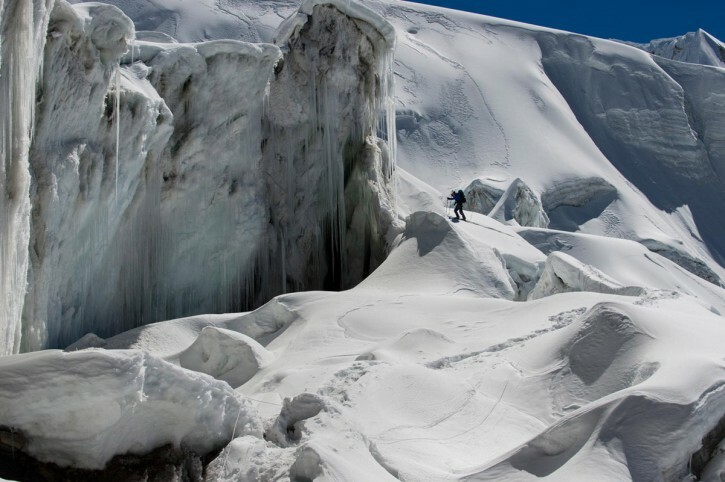 Trained as a mechanical engineer but seasoned in adventure as a high-altitude mountaineer, he has photographed the Himalayas, the world's biggest industrial sites, and sit down portraits of billionaires and dissident artists alike. Among his accolades are the 2nd Prize for Portraiture at the World Press Photo Awards (2013); he has also exhibited internationally at the Museum of Modern Art, Tblisi, Georgia (2013), a solo show at Three Shadows Gallery, Beijing (2012), The International Center of Photography in New York, Galerie Huit in Arles, and the Singapore Art Museum. Stefen insists that his long-term projects must have a social conscience and is the co-founder of ‘The Poverty Line’, a global visual project that contexualises poverty. "The Poverty Line" was referenced by the World Bank and was presented at TED. Not least of all, Stefen has been named by Nikon as one of Asia's top photographers. Singapore, from an invisible dot on the world map to a red dot that reverberates across the global community … Be Movement celebrates SG50 by uncovering 50 individuals whose courage and action goes beyond our shores. Earlier this year we asked, “If courage was a Singaporean person living overseas, who would it be?” Of diverse ages, ethnicities and fields, from North Korea to Uganda to Afghanistan and big cities in North America, Europe and Asia Pacific, the places these people have gone and what they are doing surprise and humble us. Stripping away layers of achievements, awards won and famous affiliations, we delve into their hearts to discover who they really are and how their island home has shaped them. We also highlight companies and organisations who have contributed to the growth and development of Singapore. To celebrate SG50, we invite you to join us in celebrating the courage of Singapore and its people ‘to be’. 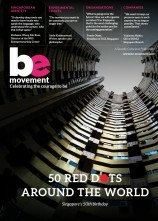 Be Movement SG50 issue hardcopies (SGD18.90) are available for sale at Kinokuniya, BooksActually, Allscript and major bookstores after 15 August 2015. It is also available for sale now at our store in Liang Court #01-20 (special SG50 promotion at our store only: buy 1 SG50 issue and get another free SG50 issue), and through online order at our website. - Please arrive 15 minutes before the talk to get seated. - This event is free-seating. - BeMovement SG50 issue is only distributed at event to attendees. Missing the talk will forfeit this issue.